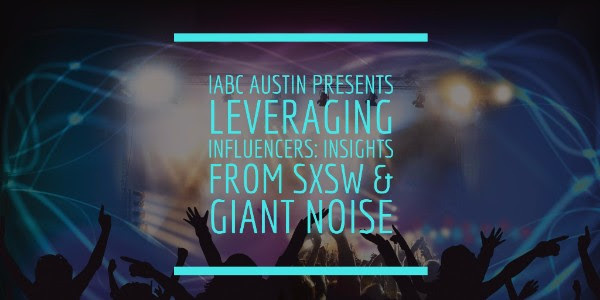 IABC Austin invites you to a networking lunch and discussion about influencers on Nov. 14, with SXSW Senior Publicist Brett Cannon and Giant Noise Vice President Jennifer Sinski. They will share how each uses influencers as storytellers and marketers for their clients and events. Discover insights about identifying types of influencers, key advantages of working with them, and crafting powerful messaging with the influencer in mind. Nov. 14 | 11:30 a.m.-1:00 p.m.